We all know that spring brings wildflowers, especially this year, but it also produced something else to be wild about – a new seasonal menu at Driftwood Kitchen created by Chef Rainer Schwarz. He is also the Executive Chef of The Deck on Laguna Beach and Hendrix Restaurant and Bar. Tuesday evening, my fellow writer at Stu News Marrie Stone and I had the pleasure of sampling some of his new dishes while sipping springtime cocktails and watching the sun set over the Pacific. Adding to his already acclaimed menu of ocean-inspired offerings, Chef Rainer introduces dishes featuring fresh, vibrant spring ingredients. Among the new items is the DK Seafood Tower, a seafood lover’s dream, filled with Maine lobster tail, king crab leg, poached jumbo Mexican shrimp, oysters on the half shell, Spanish octopus ceviche, and tuna tartare. Chef Rainer’s menu still includes Driftwood Kitchen’s signature Yellowfin Tuna Tartare Tacos, Grilled Spanish Octopus, and Whole Fried Texas Redfish, which can feed up to four guests and must be ordered in advance. Driftwood Kitchen is located at 619 Sleepy Hollow Ln and is open for breakfast, lunch, and dinner. For more information, go to www.driftwoodkitchen.com or call (949) 715-7700. Montage Laguna Beach is once again hosting Laguna Beach Taste of the Nation overlooking the Pacific Ocean on Sunday, May 5, to help raise funds for Share Our Strength’s No Kid Hungry. Host chefs for the 12th annual event Benjamin Martinek, chef de cuisine of award-winning Studio, and Lee Smith, pastry chef for Montage Laguna Beach, will welcome Australian award-winning Chef Curtis Stone as a special guest, along with other visiting chefs. From 2:30 to 7:30 p.m., guests will savor featured bites created by celebrity chefs from California and two outstanding chefs visiting from Montage Los Cabos, Mexico. Excellent wines and champagne for sipping and crafted cocktails, including Cinco de Mayo celebration cocktails provided by Casamigos at the Margarita Bar, will be served. The full roster of visiting chefs who will be preparing gourmet delicacies includes: host chefs Benjamin Martinek and Lee Smith of Montage Laguna Beach; Xavier Solomon and Alexis Palacios of Montage Los Cabos; Eric Samaniego of Michael’s on Naples Ristorante; Bryant Taylor of Chianina Steakhouse; Brother Luck of Four by Brother Luck; and Bryan Brown of Bourbon Steak, A Michael Mina Restaurant. Along with craft cocktails from Tito’s and wines from ZD Wines and MacRostie Winery & Vineyards, will be champagne and a visiting champagne specialist from Veuve Clicquot. There will be a silent auction, an exciting live auction, and an after-party with more gourmet offerings. Additional highlights include one-of-a-kind wine tastings, a champagne toast, parting gift, and mingling with celebrity chefs. Sponsors of the event are Citi, Sysco, Food Network, OpenTable, Montage Laguna Beach, Orange Coast Magazine, Moss Adams, Southern California Gas Company, BJ’s Restaurants, Pirch, Epstein Becker & Green, and Villa Real Estate. The beneficiary of Laguna Beach Taste of the Nation is Share Our Strength’s No Kid Hungry program, established to end childhood hunger in the U.S. by ensuring kids start the day with a nutritious breakfast, and families learn skills to shop and cook on a budget. To date, No Kid Hungry and its partners have provided more than 500 million meals. Ticket are $250 per person for general admission from 3 to 7:30 p.m. or $275 for VIP admission from 2:30 to 7:30 p.m.
Additional information can be found at https://events.nokidhungry.org/events/laguna-beachs-taste-nation/. Montage Laguna Beach is located at 30801 Coast Hwy. Join GG’s Bistro on Monday, April 8 from 6 - 8 p.m. for dinner, wine, live music, and to learn more about how Friendship Shelter is ending homelessness in our community. Friendship Shelter’s Executive Director Dawn Price will be at the event to give an update on Friendship Shelter and answer any questions that attendees may have. The dinner is $50 per person and GG’s Bistro will donate 20 percent of this to Friendship Shelter ($10 per person). GG’s will offer a selection of menu items as well as one glass of wine or nonalcoholic beverage for each attendee. Additional beverages will be available for purchase. Live music will be performed by Gabriel Friedman. Friendship Shelter was incorporated in 1988 to provide year-round shelter and rehabilitation to homeless adults. Today, the nonprofit provides a full complement of services to the most vulnerable homeless people in our community, and is focused on finding the most appropriate permanent housing solution for each individual. Friendship Shelter follows the housing first and harm reduction models of care, and has worked with more than 10,000 people to end their homelessness. The organization is proud that each night more than 160 homeless and formerly homeless people sleep safe, warm, and cared for in a Friendship Shelter program. For more information, visit www.friendshipshelter.org. GG’s Bistro is located at 540 South Coast Hwy #108. Tomorrow, April 3, Laguna Beach Brewery has a big reveal with a new concept and new name – Oc Craft Gastro Brew Pub, with a motto of “Home of Real Laguna Beer.” And true to the slogan, it’s made in Laguna. Giovanni says, “We’re elevating our level more in line with the Laguna level.” He said that when they opened the brewery and offered Mexican food, it was different, but now with others doing the same in town, it’s no longer needed. Oc Craft will be open from Monday - Sunday from 11:30 a.m. until 9 p.m. on weekdays and until 11 p.m. on weekends. The bar will have entertainment and stay open until 1 a.m. The restaurant is also reaching out to locals and the LGBTQ community with the idea that it’s a good spot to have events. Oc Craft is located at 237 Ocean Ave. For more information, call (949) 497-3381. Laguna’s grand dame, the Royal Hawaiian Fire Grill restaurant, is re-opening this Wednesday, April 3, under new owner/operators (and brothers) Maro Molteni and Martin Molteni, and the buzz is significant. The restaurant will be open six days a week, beginning at 4 p.m. It will be closed on Mondays. The Royal Hawaiian temporarily closed its doors on January 22, handing the keys and ownership of the restaurant to Chef Maro Molteni, the former owner of the award-winning restaurant Maro Wood Grill. His brother, Martin, is also a part owner, dividing his time between Laguna Beach and his culinary empire in Argentina. When the popular chef team announced opening day to their email and social media audiences, it took less than two hours to fully sell out Wednesday’s opening day. Thursday, Friday and Saturday sell-outs quickly followed suit. The Royal Hawaiian team is limiting walk-ins during its first week, too, with their focus on providing great service and food to the restaurant’s packed reservations lineup. There’s hope, though! Some reservations are still available for Sunday, April 7, and I’m told that next week is substantially quieter. Reservations can be made at the website at www.RoyalHawaiianLB.com, and Easter brunch and Mother’s Day brunch are open for reservations, too. People can also begin booking group dining, cocktail parties and special events at the same website. Expect an entirely new look when you visit Royal Hawaiian Fire Grill. Molteni hired Laguna resident (and former Tabu Grill décor genius) Christine Hallen-Berg to create the grand dame’s look moving forward. “When I was in Croatia 15 years ago, I saw a sunset with this beautiful blue and I’ve never forgotten that color. So, we reproduced it here. It’s a color everyone loves. It brings the sky and the ocean inside, and that’s what Hawaii – and Laguna Beach – celebrate every day,” she says. Laguna resident Chris Karl added his design skills on the plant side, building out fresh flower scenics and adding live plants at every turn. Last week, the Molteni brothers put the shiny new kitchen and new wood-fire grill to the test with two giant private parties for Laguna-centric friends and family. Then, they executed a soft opening dinner on Saturday night with the full menu in play. This Wednesday’s opening will introduce the last bastion to full-service play – the much anticipated cocktail list. While hundreds of people continue to speculate about the changing food and drink menus in Royal Hawaiian’s social media platforms, the chefs and Laguna resident mixologist Sean Melia have been in lockdown mode on what exactly will be served. “Everyone wants their favorite food and drink item from the Royal Hawaiian,” says Chef Maro. “But people forget that this restaurant has been serving up food and drink for seven decades. That’s a lot of favorite menu items! While younger brother Maro has spent hours in input on the menu, older brother Martin has primarily been in charge of creating Royal Hawaiian’s next era of food and drink. Martin, named Argentina’s #1 chef, and one of the highest ranked chefs internationally, cooks in multiple cuisine styles as a guest chef to vaunted restaurants everywhere. So, when it came time to restructure for Royal Hawaiian Fire Grill, he spent time researching the historical cultures of Polynesia and tropical/coastal regions in South America. “You look at the 12,000 miles between the Hawaiian islands and the tropical coast of South America and you think there’s no way they have anything in common in their cooking styles,” says Chef Martin. “But, their historical cooking cultures are very similar, running surprising parallel through the ages. So, we thought we’d introduce a new kind of menu to Laguna Beach that weaves these worlds together. I don’t think there’s any better place to do this – in just the few months I’ve been here, I’ve met Laguna residents from all over the world, and we know that it attracts international visitors all year long. “The Royal Hawaiian is our way of welcoming this big wide world of people into an experience that proves that it really is a small world after all,” he says with a smile. Of course, the classic Lapu Lapu, Mahi Mahi, Blue Hawaiian and more will be greeting guests at the bar. A genius mixologist in his own right, Melia has been working with the chefs to create a number of “other coastal tropicals” to the menu. More important to Chefs Maro and Martin than the actual menu items is the sourcing of all their ingredients. Together, they spent weeks in research, searching out the finest grass-fed beef and lamb, researching Pacific-based fish and shellfish options, meeting with organic farmers, combing through farmers’ markets and more. On Saturday night, just 40 people were introduced to the new food menu. It is, indeed, a heady and lovely mix. Pure Polynesia sparkles with Ahi Poke, Hawaiian Hamachi Sashimi, Local Halibut Ceviche, Grilled Lobster, Mesquite Grilled Sausage, Ora King Pink Salmon, Grilled Whole Pork Rib, and a Royal Hawaiian Burger. And, items such as fresh-baked, super-steamy Empanadas, Lemon & Thyme Scented Charred Chicken Breast, Veal Sweetbreads, Braised Lamb Shank, Ribeye Angus Beef, and the return of Maro’s famed Ricotta Gnocchi served with Ossobucco and wild mushrooms share the spotlight with equal aplomb. After its first few weeks, Royal Hawaiian Fire Grill will be rolling happy hour into play with a new bar menu. With every intention to welcome families into the restaurant, the Molteni plan to introduce a kids’ menu in the weeks ahead, too. As noted, reservations are already being taken for Easter and Mother’s Day brunch (menu-driven, not buffet). The chefs say a weekly Sunday brunch won’t be far behind, but they want to be firing on all cylinders first. And, rumor has it that a special Sunday afternoon cocktail party will be making a weekly appearance starting sometime in May, too. 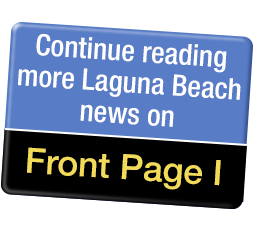 Diane Armitage is the author of a recently published 175-page book – “Laguna Beach’s Best” – a travel guide for locals and visitors. She writes a subjective blog found at www.LagunaBeachBest.com. She is a regular contributor to Stu News. Mediterranean spices sold by the kilo. Zataar, sumac, turmeric and paprika for ancient flavors! The secrets, stories and legends of Tel Aviv’s Carmel Market seem to peep out from its dusty old corners, enticing shoppers to buy much of the same goods sold here for a century ago. In the early 1920s, a group of Yemenites, then some Russian immigrants, began selling fresh local produce in the area. By the 1950s, the City took note of the market’s popularity, and constructed permanent buildings for merchants Persian to Polish and Arab to Eritrea. Today the Market, which is named after the streets it’s located on, sprawls across the alleys and side streets reflecting a fascinating culinary tradition while making shoppers’ eyes, nose and tongue tingle. It’s a perfect place to provision for a lavish dinner at home. Or, with the Mediterranean Sea just a few blocks away, it’s easy to find the fixings for a beach picnic. Truly a treat – Turkish Delight from Turkey! A visitor from Southern California is bound to find the surprising array of colorful and aromatic foods a pure pleasure. Anyone who has pangs for delicious real food is sure to find satisfaction in Carmel Market’s warm bread, sweet donuts, dried fruits, juicy fresh fruits and green vegetables. All chickens are not created equal! Today’s conventional chickens reach 5-pound market weight in 50 days. Forty years ago, chicken required 10 weeks to achieve a 4-pound weight. Fattening them fast is the result of scientific research and the result has been turning chicken into a big mass of tasteless texture. By contrast, organic chickens, like in the olden days, are raised for10 weeks to weigh 4 pounds. The result is a tender, succulent and flavorful treat. They cost twice the price of a conventional chicken, but if you hesitate to go organic, there is a lot to consider. Chickens are vegetarian by nature, but the law allows “conventional chickens” to be fed animal by-products, approved drugs and antibiotics. As always, the result is in the pudding. Organic chicken made any style, has a distinctive taste, you may recall if you’re 40+. The taste and texture of organic chicken harkens back to a time when it was enjoyed for it a mild savoriness with a hint of meatiness - making you realize what high quality is. The simple ingredients in this recipe allow the flavor of the organic chicken itself to come to the forefront, while the mix of spices adds an interesting background flavor. Pour 3 TBS cooking oil in a baking dish. Add 1/2 tsp. sea salt, 4-6 dried red chilies, 1 tsp. cumin seeds, 2 sprigs of fresh rosemary, 8-12 garlic cloves. Place chicken pieces in dish and bake for about 12 minutes then turn the pieces over and broil at 500 degrees for another 12-14 minutes. The crispy yet succulent chicken can be served with steamed vegetables and fresh bread. Yesterday, I was talking to one of our Laguna chefs about Valentine’s Day. Oddly, reservations for Valentine’s Day tend to occur well in advance, while Mother’s Day reservations tend to happen at the last minute. Imagine that. If you’re one of the few who’s still making your plan for next Thursday, Valentine’s Day, here’s a quick roundup from many of our local restaurants. More details are still rolling in from chefs, so be sure to check my blog at www.TheBestofLagunaBeach.com for the latest details. Harley Laguna Beach – Chef Greg Daniels is making a splash with a Valentine’s menu that starts with New Caledonian Blue Prawns, moseys through Wood-Grilled Scallops and Grass-Fed Filet Mignon, and offers up black truffle and wild mushroom risotto, pan-fried gnocchi, and quite luxurious desserts. The cost is $90/person, including a $20 required deposit that will be removed from your final bill. Go to www.harleylagunabeach.com to reserve or call (949) 715-1530. Harley’s regular menu is also available. Wine Gallery Laguna – One of my favorite (and somewhat undiscovered) chefs, Chef Josh Mason, has returned to Wine Gallery, and he’s crafted a 4-course dinner that brings back the best of Josh. Options include Lobster Bisque, Prime Rib with Pommes Purée, and Halibut with a White Wine Tomato Brodo. Go to www.winegallerylaguna.com or call (949) 715-8744 to reserve. Pizza and salads from regular menu also available. Nirvana Grille – I had the pleasure of having dinner with Chef Lindsay last Friday evening. It’s lovely to see her restaurant still filled with happy diners after all these years. She just signed a new 10-year lease, so be sure to keep Nirvana on your list. This year’s Valentine’s menu offers up options such as House Made Salmon Chowder, Grilled Center Cut Swordfish, Pepper Crusted Filet Mignon, Portobello Mushroom Risotto and more. Finish the evening with a decadent dessert trio. The cost is $79/person. Add Drew Barrymore Rosé for just $8 a glass or Bottomless Jean Phillipe Champagne for $25 per person. Call quickly as she’s almost reached her reservations limit: (949) 497-0027 or go to www.nirvanagrille.com. Splashes at Surf & Sand – Seats are almost sold out for Chef Ron Fougeray’s Valentine’s treat. Choose from menu options such as the Oyster Trio, Salsify & Frangelico Soup, Colorado Bison Duo, Bronzino, Roasted Veal and more. Rumor has it that the resident Pastry Chef has gone all out with equally as decadent dessert options. The cost is $135/ person or $185 with wine pairings. Call (888) 281-3502. Broadway by Amar Santana – Chef Amar has come up with an inventive menu that features colors and flavors to entice the senses. Enjoy a “red-for-passion” course of beet-cured Wild King Salmon, a “green-for-vitality” course of Herb-Crusted Lamb Loin, and a black course for “power, decadence and sexiness” featuring Porcini Dusted Filet of Beef with black truffle purée and more. The cost is $135/person. Credit card is required at reservation. Call (949) 715-8234. Broadway by Amar Santana’s A la carte menu is also available. Mozambique – Always a believer in music + great food for the most memorable Valentine’s days, Chef Braulio has created a menu that includes 11 entrée options featuring Chilean Sea Bass, Filet & Lobster, New Zealand Rack of Lamb, Cioppino and more. Live music on Valentine’s features special guest Louis B. Middleton in the Durban Room and the Neil Diamond tribute band America’s Diamond on the main stage. The cost is $79/person. Call (949) 715-7777. Driftwood Kitchen – Chef Rainer Schwarz is pulling out all the stops with items such as Pan Seared Crab Cake, Double R Ranch Petite Filet with Maine Lobster, European Branzino and more. The meal includes a champagne toast and dessert for two. The cost $89/person. Call (949) 715-7700. Note: For those of you who would rather whisk somewhere other than Laguna, check out Chef Rainer’s great Hendrix Restaurant in Ocean Ranch by Cinepolis. He’s created a very similar menu to the Driftwood Valentine menu, with pricing at $69/person. Studio, Montage Laguna Beach – You know you can’t go wrong for romance at the renowned Studio. Chef Ben Martinek’s amuse bouche starts with a Shigoku Oyster on the half shell, and the menu rolls from there with Smoked Red Abalone, Roulade of California Petrale Sole, Duck Breast and more. The cost is $175/person, $270 with wine pairings. Call (949) 715-6420. The Loft, Laguna Beach – New Chef Joosung Lee is offering a 4-course menu with items such as Steelhead Trout Tartare, Cauliflower Flan, Catalina Island Striped Bass, Sweet Potato Gnocchi and more. The cost $150/person, $210 with wine pairings. Call (949) 715-6420. The Loft’s egular menu is also available. Sapphire Laguna – Any time Chef Azmin comes up with specialty items, you can be assured it’s going to be one of a kind. Opt for items such as Lobster & Shrimp Bisque, Oven-Roasted Steelhead Salmon, Raspberry Almond Tart and more. Call (949) 715-9888 for reservations. Lumberyard – Always a local favorite, Owner Cary Redfearn and Chef Armando Ortega have drummed up some specials that you haven’t seen in the restaurant yet. Sorry, mum’s the word on this! Make reservations at www.lblumberyard.com or call (949) 715-3900. 230 Forest – Chef Marc is offering up a number of specials along with the regular menu. His is a popular restaurant for Valentine’s, so reserve soon at www.230forestavenue.com or call (949) 494-2545. Skyloft – In addition to the regular menu, opt for off-menu items such as Salmon Quinoa or Grilled Pork Chop. The great musician Francois Dean in in the house beginning 7 p.m.
Watermarc – At his other popular restaurant, just a block from his initial 230 Forest restaurant, Chef Marc has organized a number of specials true to Watermarc’s cuisine. For reservations, call (949)-376-6272 or go to www.watermarcrestaurant.com. The cost is $45/person. For reservations, call (949) 494-0400 or go to www.ristoranterumari.com. Montage Lobby Lounge – Leave it to Montage Executive Pastry Chef Lee Smith to roll out every sweet imaginable for a Dessert Buffet in the Montage Lobby Lounge. It’s a finer version of Willy Wonka’s world with tables piled with macaroons, brownie lollipops, ivory chocolate pots de crème, a “Montage Cream Bun Collection,” and an entire collection of chocolates, from eclairs to chocolate chunk cookies, house-made chocolate bonbons, and truffles. The cost is $45/person and the entire table is required to purchase (no sharing please). Diane Armitage is the best-selling author of the book, The Best of Laguna Beach, and offers a cornucopia of Laguna based reviews, finds and upcoming events at her blog, TheBestofLagunaBeach.com. Chef Mariano (“Maro”) Molteni still remembers the November day when Mo Honarkar suggested that Maro take over the Royal Hawaiian space as the new restaurant owner/operator. After waiting through the busy holiday season, the two entities made it official. Honarkar’s company, Heisler LLC, will act as landlord, continuing to own the building and the land beneath it. Chef Maro will operate the restaurant. As of Tuesday, Jan 22, the keys to the Royal Hawaiian kingdom were placed in Chef Maro’s hands. The popular restaurateur, founder and former chef of Maro Wood Grill, has taken up new residence just 1.6 miles north from his previous restaurant. That same day, the Honarkars made the change of ownership announcement to the Royal Hawaiian staff. The restaurant officially closed that day and interested staff members immediately began scheduling interviews with the new owner/operator, Mariano Molteni. The goal is to reopen the revitalized restaurant before the end of February. On Tuesday, Chef Maro had the keys. And early Wednesday morning, the flurry of activity began. As he worked through numerous interviews with existing staff, Molteni answered fire department calls about his incoming wood grill, chatted with chosen architect Horst Noppenberger about minor changes for the interior, got plans rolling with the City, and nosed through the kitchen with a fine-tooth comb. Meanwhile, his Argentinian-based brother, Martin, was calling and texting about the incoming kitchen manager and menu possibilities. Martin Molteni, officially deemed “The Best Chef of Argentina,” will be joining his little brother in the new venture. The two brothers have independently collected a host of awards and accolades regionally and internationally but have decided to devote “the next decade ahead” to collaborating and creating successful concepts together. Although Martin Molteni already paid a brief visit in January to look over the possibility of the Royal Hawaiian, Chef Martin will return in February for an extended stay. Over the next year, he plans to travel regularly between Laguna Beach and the culinary empire he has created in Argentina. Born and raised in Argentina, the Molteni brothers will continue to pay homage to Royal Hawaiian’s Polynesian culture, particularly as wood-grilled beef, chicken, pork, and seafood is so much a part of that culture. For centuries, Hawaiians have crafted their meals over open wood fires in the great outdoors, a culinary skill that syncs beautifully with similar Argentinian heritage. There’s a great deal of crossover between our cultures and that’s what we’re going to be focusing on here,” says Chef Maro. “The Royal Hawaiian opened in 1947 and for decades it was the greatest steak and seafood place around. Yes, yes, the Lapu Lapu is never going to go away, but the real ‘nostalgia’ we’re interested in has to do with creating that amazing Polynesian steakhouse again,” he says. After years of success and accolades at Maro Wood Grill, Maro Molteni sold his restaurant in July 2017, allowing the new owners to keep his moniker. He and wife Patricia took their two sons back to Argentina, where he worked with chef brother Martin on strategy and action for a number of large regional cuisine projects. A year later, when Chef Maro and his family returned to Laguna, the Chef was determined to find a larger restaurant space in Laguna. This proved a more daunting task than he first assumed. Months later, with nothing moving on the Laguna Beach front, Maro began widening the net, looking as far north as Lido Island and parts of Costa Mesa. It wasn’t until late October that he connected with Laguna Creative Ventures Founder Mo Honarkar, whose own Laguna commercial properties house a few ideal restaurant spaces. A 12-month lease is now in place, but it also acknowledges that Honarkar might receive City approval in this same timeframe to move forward on his development plans on the block where Royal Hawaiian resides. Will the iconic Royal Hawaiian move to iconic Hotel Laguna? Given that Honarkar recently acquired the iconic Hotel Laguna, this seems to be the next question on every resident’s mind. “There are so many variables on the table right now that it’s not something we’re discussing at the moment,” says Molteni. “Right now, we’re working on getting this restaurant in this location open in about four weeks’ time. And, then, the goal is to succeed at welcoming back its biggest fans along with the ‘family’ we came to know and love at our first restaurant here in Laguna, Maro Wood Grill,” says Maro. “When I returned to Laguna Beach last summer, my only goal was to find a restaurant here in Laguna that would allow me to create a space where people can feel like they’re my closest friends hanging out in my living room,” he continues. “Granted, the Royal Hawaiian is a really big living room, but we’re still going to find a way to make every person feel at home,” he says. Nirvana Grille Chef and Owner Lindsay Smith-Rosales, successful business owner/restaurateur and mother of two young boys, knows firsthand what it’s like to not have enough time in the day, prompting her to launch a “Christmas to go” menu for local families. “This year I wanted to ease the stress for people. When I was speaking to a client about being home this year with our family instead of going to San Francisco like the last three years, she asked for advice when she expressed how difficult it was to enjoy the holidays with all the preparation and how at the end, she always felt like it didn’t turn out as hoped. She was exhausted and missed half the night,” Chef Lindsay explains. --Desserts including pumpkin mason jar cheesecake…and so much more! Pricing is offered a la carte per person to make it easy for any size group. Depending on each category, pricing varies but it is between $4.50 for sides to $24 for proteins per person per category. For a full menu or to place an order, call the restaurant at (949) 637-4708. All orders must be placed no later than 2 p.m. on Saturday, Dec 2 and orders must be picked up between 1 and 4 p.m. on Christmas Eve.